The web series for one of my all-time favourite book series, The Morganville Vampires, is finally here! After being backed by 832 pledges on Kickstarter, the project was funded in July last year and now, the trailer for the upcoming series has arrived! A brave teen (Claire Danvers) moves to the very isolated West Texas town to attend the local university, only to (a) run afoul of the local mean (very mean) girls, and (b) move to the safety of off-campus housing with three strangers. 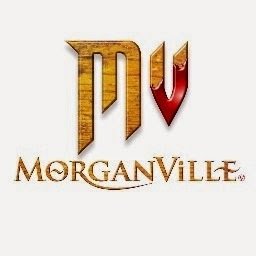 But the plot thickens when she discovers that her new housemates aren’t crazy: Morganville really is run by vampires. They own it, and every one in it. And now ... they own her. If you're interested in learning more about the cast/crew click here or if you want to check out the Morganville store, here! And...You can now watch episodes 1 and 2 of the Morganville Series for HALLOWEEK on Geek and Sundry! I'M SO EXCITED/FANGIRLING RIGHT NOW. This looks pretty cool so I will be watching. I read the first 2 books in this series years ago but I didn't continue for some reason.